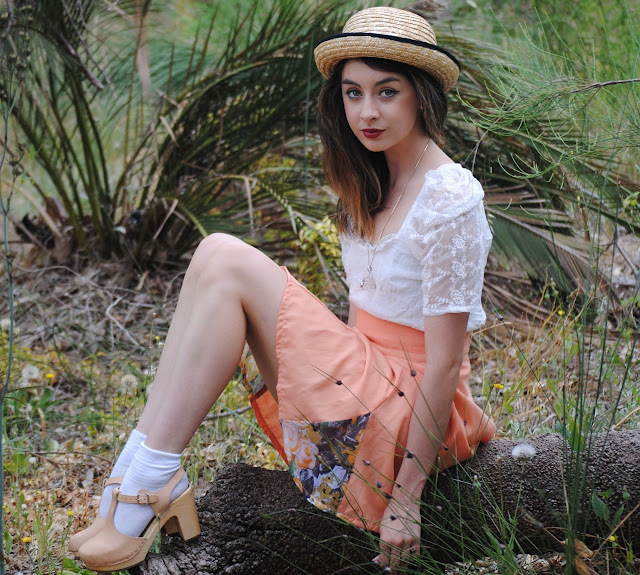 Before I share some rather important news, here are some photo's of one of my favourite apricot coloured skirt taken in the boiling heat we have been experiencing ! I really love a statement colour in an outfit and love how this particular shade compliments creamy tones as well as my pink pastel clogs. It's only natural that with every piece of good news there a slight fall back . First of all I will be heading on an exciting trip to India for 2 weeks, where I will be helping out doing some missionary work. I am so excited as well as incredibly nervous ! I have always had a fascination with India, however if I were to purely go on holiday there I think I would be overwhelmed with guilt therefore I am very glad that I can experience India whilst giving something back. First of all for all of those who voted for me in the sportsgirl superstylist competition I wanted to say a huge thank you as I am one of the 5 finalist to be judged by Kym Ellery, Anouk Colantoni and Michelle Jank . I am so thrilled to have made it this far have a look here to see the other amazing finalists ! Just a quick post today I must study for my final exam on wednesday horah ! 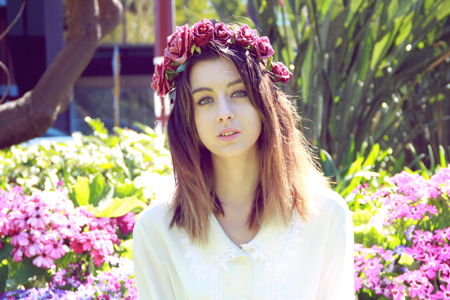 This was also myself and Ellery's favourite photo from when I was the webstore model. These suede shorts are phenomenal ! My entire internship has been a priceless experience which I am sure I will miss when it's over ! Sundays are definitely one of my favourite days . It usually consists of a little sleep in , a nice breakfast and then a trip to the markets . My sister and I always go to the Subiaco markets for fresh fruit, snacks and flowers. There is also an amazing jewlery store where I purchased my favourite pendant and a few little pop up stalls which have become regular pit stops in between buying the very reasonable fresh produce. The white layered skirt in the outfit post below was actually one I picked up from a little thrift stall there. Here are some of my market snaps. I love how they are so colourful which reflects the atmosphere you encounter when there. I am a real sucker for flowers, I buy myself a bunch each week because I enjoy the added life they give my room and of coarse the fact that they are so incredibly beautiful! I have an unhealthy obsession with collars and have noticed that so many of my shirts with the prettiest collars are hardly ever worn. So to solve this dilemma I have started chopping my collars off and wearing them with various outfits. I won't lie I was very inspired by Miu Miu before I began this creative venture which has been a great solution to my problem. The outfit below features a collar which was from a large nighty styled top which I bought in an op shop and I never wore. I felt like the size of Africa in that top and the fabric also had me sweltering but I did love the collar and I can safely say that the top gets more wear now as a collar than it ever did as a top. I also received a lovely email notifying me of Kate Moss's new range for Topshop .